Today, Congress passed the Consolidated Appropriations Act, 2018—a $1.3 trillion proposal to fund the federal government through September 30, 2018. It is expected to be signed into law by President Trump in the coming days. The omnibus package demonstrates strong bipartisan support for rebuilding our nation’s neighborhoods and repairing its crumbling infrastructure. The legislation includes increased funding for affordable housing, community and rural development, and infrastructure programs, as well as the the reauthorization of the Environmental Protection Agency’s Brownfields Program. The bill provides a 12.5% increase in LIHTC allocations, lasting until 2021. The increase adds value back into the tax credit that was undermined by the low-tax environment created by last year’s tax reform legislation. The bill also creates an income-averaging option in LIHTC properties, allowing certain apartments to be available to residents earning up to 80% of AMI (area median income), so long as the development-wide average is 60% or less. This will encourage a broader mix of incomes in LIHTC developments, attracting more diverse cohorts of homeowners and residents. Appropriates $150 million to the Choice Neighborhoods Initiative, helping to continue creating sustainable mixed-income neighborhoods above FY17 levels. Funds the Community Development Block Grant program at $3.3 billion and the HOME Investment Partnerships Program at $1.4 billion, both above FY17 levels. Provides $2.5 billion for Homeless Assistance Grants, $678 million for Housing for the Elderly, and $229.6 million for Housing for Persons with Disabilities. All of these appropriations are above FY17 levels. Increased funds for cleanup by up to $500,000 (up to $650,000 with a waiver. 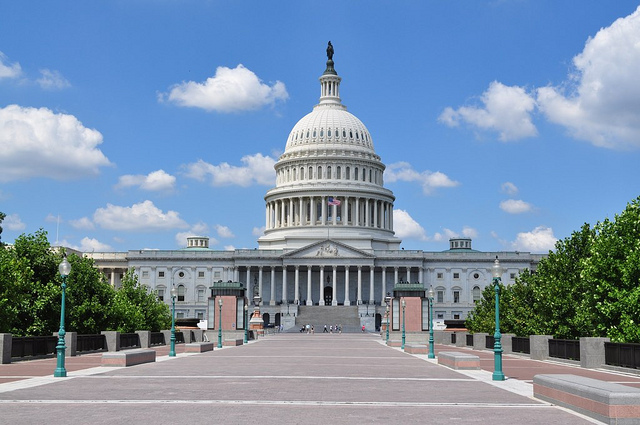 Read the National Brownfields Coalition and LOCUS’ official analysis of the BUILD Act here. Continues to fund the Water Infrastructure Finance and Innovation (WIFIA) program. Triples funding for the Transportation Investment Generating Economic Recovery (TIGER) grant program to $1.5 billion. Continues to fund the Railroad Rehabilitation and Improvement Financing (RRIF) program. Increases transit funding over FY17 levels across critical federal programs, including Capital Investment Grants (CIG) and the Consolidated Rail Infrastructure and Safety Improvements (CRISI) grant program. Funds rural development programs at $4 billion, $1.125 billion above FY17 levels. The bill continues to support Multi-Family Housing Revitalization, Mutual and Self-Help Housing Grants, and Rural Housing Assistance Grants. Rural Business Development and Economic Development Loan Programs included in the legislation. Provides funding for rural broadband infrastructure. LOCUS would like to thank its members, supporters, and allies for their tireless work holding lawmakers accountable to America’s cities and towns. We could not have done it without you. Thank you.